INSPIRED by his talented mother, Ranjit Singh's passion for creating delicious food brought him to Gladstone three weeks ago. Night Owl Centre restaurant Miss India offered him a job, and he moved from Brisbane without hesitation. Mr Singh's mother was a talented cook, but her family members were her only customers. "My mum used to say, 'What do you want for dinner?' And she would make it," he said. "We would just name it and she would make it." Mr Singh has been in Australia since 2008, when he moved from Punjab in India. "In India (the food is) similar but we have a lot of vegetarian dishes instead of a lot of meat. Otherwise, the taste is beautiful - it's the same flavours." Having studied the English language at school, he was already fluent when he landed in Australia. "It's when I came to Australia that I got an accent." Gladstone has been "amazing", he said. "People call it countryside, but everything I look for, here, I can get." He studied commercial cookery before accepting work in Gladstone. 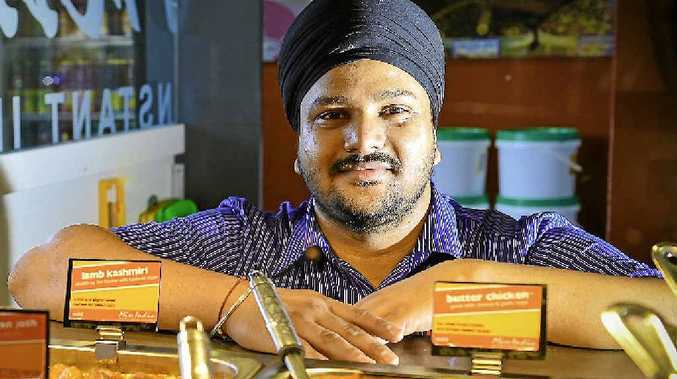 "What I want to do is cook Indian meals for the Australian community so they (get to) know more about our culture," he said. "I like cooking and serving people ... at the end of the day when customers are happy that puts more smiles on my face."